God love the French, they've gone and restored Predator for a re-release. Originally released in 1987, John McTiernan's (who later went on to direct Die Hard and Last Action Hero) sci-fi horror hybird is now considered a classic from the era. 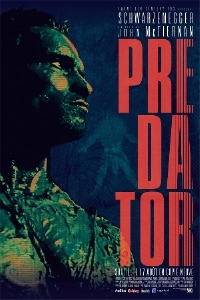 This new 2K restoration of Predator screens in France on August 17th. There is no plan to bring the film to the US or Canada. The Predator stars Arnold Schwarzenegger, Carl Weathers, Elpidia Carrillo, Bill Duke, Jesse Ventura, Sonny Landham and Richard Chaves.